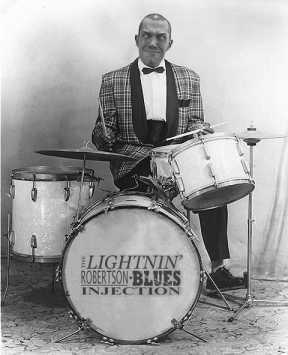 Welcome to the tribute site for the infamous Lightnin' Robertson Blues Injection! 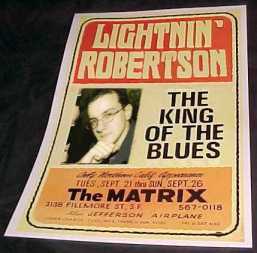 This page contains information, mp3s and photographs of the band, and the legendary Lightnin' Robertson himself. 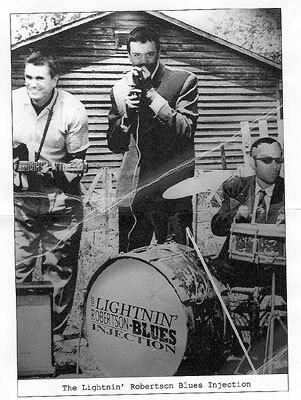 Original band photograph taken at the 1964 South Mississippi Festival of Blues, weeks before the big split. 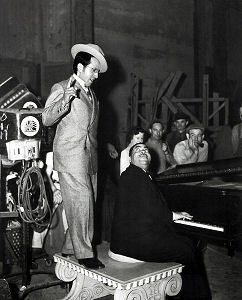 In 1941 a legend was born... Once in a lifetime musical powers come together in a manner so wholey remarkable that all who are honoured enough to hear the sonic delights that are produced when the instruments are tuned and the amps are on, forever tremble in awe at the spectacle they have witnessed. 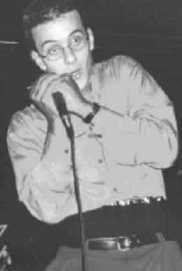 The Injection's new star member - famed vocalist and world renowned dancer 'Crazy Dave'. 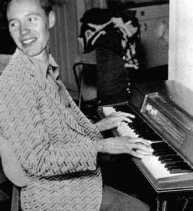 Crazy Dancin' Dave's moves are legendary... who can forget the dance craze 'Lame Raccoon' that swept the Blues dens back in '66? 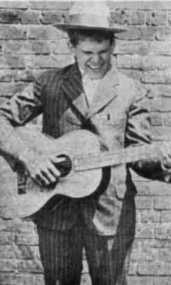 Bassist 'The Catfish', circa 1954, after the Great Gumbo Shortage of 1953, when his weight plummeted by the equivalent of three fully grown coyotes. Mississippi West solos at the Bam Boom Room, Lake Clarkesdale. 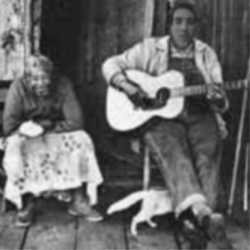 It was once claimed that Mississippi's fingers were fast enough over the keys that the heat caused his sweat to turn instantly to Jack Daniels. 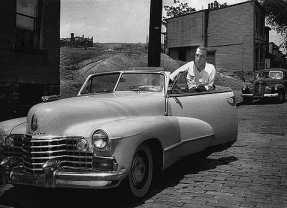 Blind Mike – legendary drummer with The Injection, sadly now once again missing in action shortly after the 2003 reunion performance ended in disaster. 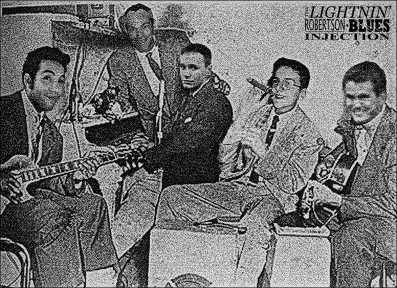 Click here to listen to a rare live recording of the Lightnin' Robertson Blues Injecton in action, with their rendition of the Sonny Boy Williamson II classic 'Born Blind' (935kb).